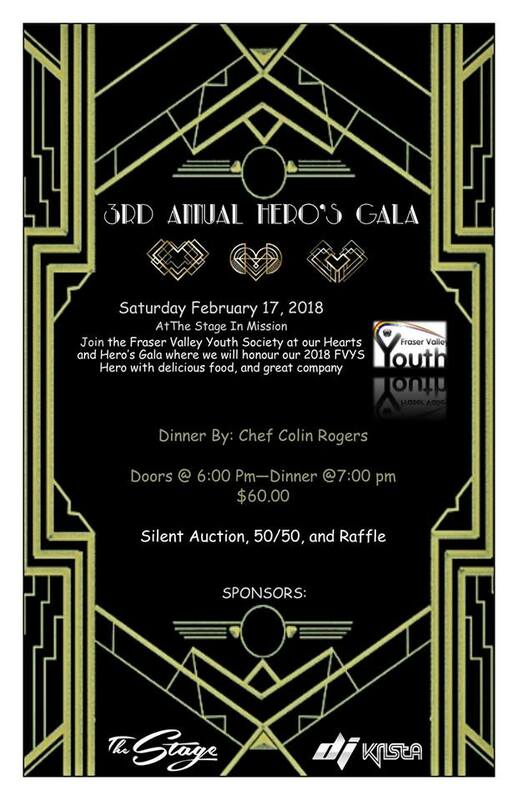 Our FVYS Hero's Gala is a way to raise funds for our society while honouring an individual/individuals who has/have contributed to FVYS and the LGBTQ2S+ community in the Fraser Valley. Each year we will call for nominations and then choose a Hero to honour at our event. This is our way of saying thank you for all the love and support we get throughout the year.